1. 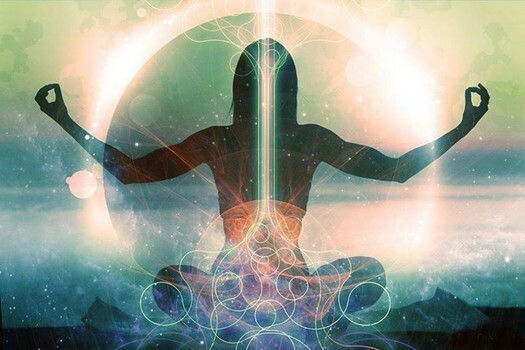 Kundalini awakening during periods of stress or sorrow is not as uncommon as one would think. This is mostly because the “pain” during that time prevents one from being able to escape reality into a comfortable “mental reality”. This forced awareness into the here and now, as we know, is the key ingredient for spiritual awakening. 2. Some experiences are easily attributed to Kundalini. Such as anything to do with energy sensations moving up and down the spine and anything that creates “transcendental experiences”. Other physical symptoms are difficult to attribute to kundalini with full confidence. For this reason, it is always worth getting such symptoms checked out by the medical system as well. Generally speaking, if living and practicing a more “spiritually oriented” life (yoga, meditation, solitude, mindfulness, light diet, like-minded company, quietude, nature etc. ), increases the symptoms, then that is an indication that it is probably due to kundalini at work. Hope this helps. Hang in there and feel free to discuss openly. I am having a low moment and am wondering if you might be able to help. My question is how we can know that we’re going through a kundalini awakening, and not just going crazy. My kundalini experiences started after a very serious period of extreme stress and pressure in my life. Basically my life disintegrated and turned chaotic. I’m getting better, but am wondering if maybe I’m not just suffering from some kind of back injury and some kind of post traumatic stress disorder. I really went through a lot before I started having the ‘white out’ episodes that I’ve described, and the back pain. Are there non-physical ways of knowing whether or not something spiritual is happening related to kundalini? Is there telling indications that clearly separate the experience of someone with a stress disorder from the experience of a person going through a kundalini awakening? 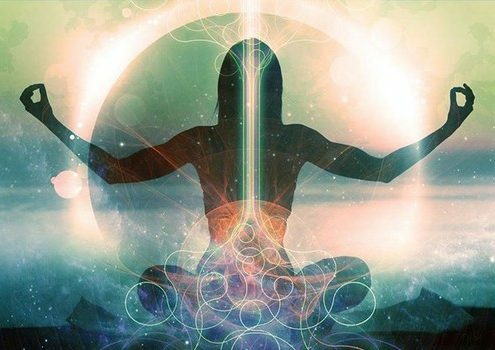 Why would my kundalini awaken in the first place? I didn’t even know this was a possibility until after it seems to have happened. I just don’t get it today. Sometimes I do feel that I get it, and everything is quite clear. But maybe I am crazy on those days:)…. In the future I plan to launch a forum on Mastery of Meditation, where I will be sure to include a thread for Kundalini Awakening Symptoms. I think it will be a valuable resource to all interested parties. this has reference to your question for no. of people who are undergoing kundalini experience. It might look as an epidemic to you but i can tell u from my experience with this matter that there are very few people who are in knowledge of this thing. i keep floating some polls on ORKUT/medtation community and i hardly get sufficient no. of respondents from my indian counterparts. people are not much aware of all this, i cudn’t even find a single person with whom i can share abt. such matters in actual. it is only thru these blogs dat i get in touch with some people who understand all this. it is so hard to awake one’s kundalini u can get to know it from some enlightened person but as you got it spontaneously so you are seeing it as an epidemic. my case too is of spontaneity but i dont find many people with whom i can discuss all this. your idea of meeting n get together is gr8 but that requires time, money n other resources. i got some mail ids frm the bloggers here n i feel good whn i get their mails n share my experiences with them,you too can do the same, sometime i find people online on gtalk etc. n i can chat online it helps in such matters. Thanks so much for your feedback and sharing your first hand experiences with what a strong and balanced Third Chakra can do. Great job and glad the exercises are helping. I am sure your comments will inspire many with their personal yoga practice too. I got lots of praise afterwards, which was great, but there was one professor who asked a hostile question…I was inspired with an answer that allowed me to put him in his place while keeping everything pleasant, professional and sincere. People keep telling me how great my reply to him was (no one cared much for his attitude). It’s a privilege to get the views of a seasoned and devoted yogi. Your experiences from walking the path are invaluable. The chanting is always the “unusual and unfamiliar” part of Kundalini Yoga, and it takes some getting used to. This is something I see students warm-up to gently. I too, for various reasons, took some time to open up to it. Pranayama works at different rates for different practitioners, and along with the most important aspect of sticking to it over a long period of time (as you have pointed out), is making sure to progress gently and systematically with this potent science. 72,000…. that’s how many wives Krishna has… so for those who know about Krishna Lila, this should give you an indication of what the true meaning of Krisha Lila is. In fact Susan’s comments above regarding breath, are nothing but the start of Krishna Lila. Hi Can anyone help me getting any statistics on number of people going through kundalini awakening? It seems to be in epidemic proportion and I feel it needs investgation. If any person or any organization doing such work please let me know. I would like to get involved in it. I myself have gone/ going through this terrible experience alone and I feel it would be nice to have may be a sort of get-together..or any better ideas??? Yes…kundalini yoga has helped clear the channels linking one to the “other side”…the nadis…but remember there are 88,000 of those??? not just the sodarshan chakra kriya…but kundalini tapes. I’ve done Ravi and Ana kundalini tapes everyday for a while. It’s become an automatic thing…on autopilot… when my family started hearing me chanting…they were all concerned I had gone bonkers… but slowly they’ve adapted. the thing with the breathing part is that one does not completely gauge the full extent of the “connection” until quite a bit of practice… must be because at that critical moment when the nadis for that particular asana is cleared…then one knows intuitively that the connection to the other side is there. When that happens…one is so grateful for the discipline and the “sticking to it” that one has done over the years. When that breath comes alive….there will not be a chance to give an excuse for not doing the sadhana, cause at that point, you will want to do it…and even feel like you don’t have enough time. Before, meditation seems like such an empty, waste of time, but now…it seems like half an hour is not enough…and breezes through and one grudgingly gives it up so that one can go to work. A word of warning for all…keep all your normal day to day activities….one needs to do outward exercises…even if people annoy you and you prefer your own company…keep reaching out to them…for every hour of meditation, it’s best to go walk/run a mile. I just wanted to let you know that I’ve been trying the morning exercises that you recommend, and I have to say that they’re helping a lot. Unlike the other yoga I’ve done, the strengthening/toning exercises don’t make my lower back go crazy, and I feel a lot better over all. 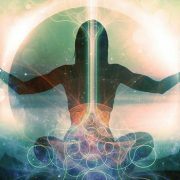 I don’t want to fool around with the kundalini energy, now that it’s woken up, but I do want to focus on my third chakra. I can tell that it’s force is ridiculously weak, I have almost no willpower sometimes. Are there more yoga exercises that help develop it without risking a problem with kundalini going wild. Thanks for your wonderful input. Yes, very careful with the use of alcohol or drugs. Don’t recommend that to anyone unless you are an expert Naga Yogi or Aghori. If you don’t know either of those 2 terms, that is probably an indication you are not ready to mess with chemicals. Even so, I don’t suggest their use. I have been meaning to get that singing bowl forever (and a gong). You have inspired me to get that done today. Yoga and meditation everyone, is the best and safest prescription. I found that Tibetan singing bowls help calm the fireworks down. It doesn’t stop it, but it definitely stabilizes it. Yesterday, I bought one, and couldn’t stop playing it. I even put water in it, played it, saw different crystalline formations on the water surface, then drank it. It actually tasted different. Somehow I’ve also had symptoms like the craving of red wine, grape juice, and unleavened bread…but, I have got to warn you…alcohol, like drugs, holds very strong psychic powers, so everything that you have in your heart gets transferred and multiplied in the drink…then when you drink it, it’s like you are perpetuating your issues ten times over….now I understand the original intent of the christian sacraments. Different things work with different people. I still do kundalini yoga every morning and half to one hour meditation. It’s automatic… I don’t think I can function without it. I know people want easy answers, but there are none…the most consistent answer would be yoga and meditation, like Anmol mentioned…there is no way around it….we just have so much stuff to work out.. Cleaning out stuff without really gaining consciousness is seriously harmful—please have patience everybody. I appreciate your curiosity for spiritual matters.I hope you will be blessed by Sh. Prabhupada swamiji’s teachings.Read this book with full belief in Swamiji’s teachings, you will surely get the desired outcome. Thank you Arun Momia for sharing that title. I just ordered it and am looking forward to reading it. Person from whom i got that book is an ISKCON(International Society for Krishna Consciousness) member. He provided me a book written by Founder Sh A.C.Prabhupada Swamiji. Name of the book is ‘The Science of Self-Realization’. Its a good book that gives deep insides in to the facts abt. life and death and purpose of coming here as human beings. one thing i would like to tell u is that Everybody is not fortunate enough to read such books, as once a person get in touch with these books he starts his last journey to endless cycle of births and deaths and sure to get salvation in this birth or next. Prabhupadas teachings has been accepted by milloin of people all over the world and i am sure you will find answers to your all quarries in this book. Please tell–what book was that ? Thanx for sharing your experiences with us.I can assure you that there are many common threads among the lives of both of us. I too faced the similar kind of circumstances as u mentioned. After i lost all the confidence in relatives n friends because of some bitter experiences, i was provided a very spiritual book from one of my acquaintance this helped me to clear my concepts abt. life and death and from then onward i started looking at world frm a different perspective. and as happened to you i too felt something happening in my lower back. since then i keep on feeling different kind of changes in my body, only a person like u can understand me as i can gauge the real situation u must be in now. hey its nice to share some thoughts with you. my gmail id is arunmomia@gmail.com. if possible pls. provide me your gmail id as well so that we can share some more experiences thru live chat. I think you are on the right track. Glad you are finding the website useful.